For more information or if you would like to schedule an appointment with Dr. Mattern, call (765) 463-7337 today! We have been serving Lafayette, West Lafayette, and the surrounding area out of our small, friendly office for almost 30 years. Dr. James Mattern is dedicated to providing safe, effective solutions modified to fit your unique needs and pain symptoms. Our goal at Mattern Chiropractic is to provide the best possible care for you, as well as quickly relieve any pain or discomfort that you may be experiencing. While Dr. Mattern will not prescribe drugs, he may suggest supplements, nutritional protocols, or orthopedic stabilization in an effort to increase your level of health naturally. 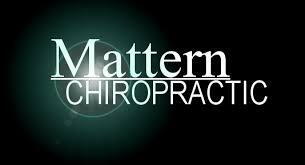 Dr. Mattern first gained experience with the positive impact chiropractic can have on an individual in the late 1970’s when his father began seeing a chiropractor. Dr. Mattern again experienced the positive impact of chiropractic when he was in extreme pain in high school following a tough wrestling practice. Ultimately, from these experiences, he realized that chiropractors are capable of making a huge impact on movement, function, and overall well-being. I've suffered from migraines my entire life. As I've gotten older they have increased in frequency to about 3 times a week. No pain killers, either over- the-counter or prescribed have ever been able to take away one of my migraines in the same day. But if I visit Dr. Mattern, and he adjust me, my headaches are usually gone within a few hours and they stay gone for quite awhile. Unbelievable! I would recommend at least trying chiropractic care if you suffer from migraines too.